There are few things as satisfying as a hot and hearty vegetable soup. 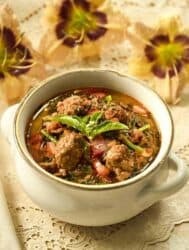 Few things really hit the spot after a long day of work or on a cold day like a rich soup full of all the vegetables you love. 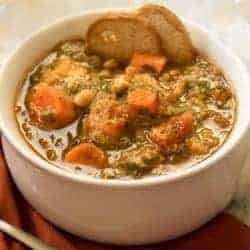 This Tuscan Ribollita Bean Soup is ideal for those days when you want a nice, hot, filling meal that’s bursting with flavor with minimal effort on your part. Keto Eggnog Custard | Only 5 Ingredients & Microwavable! 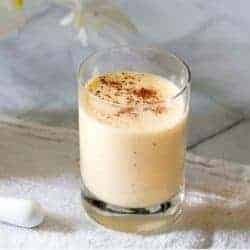 Once you’ve tried this Keto Eggnog Custard it’s sure to become a holiday classic in your home! 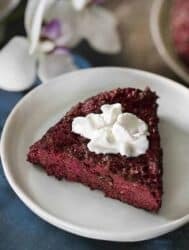 It’s low carb, only 5 ingredients and made in your microwave! 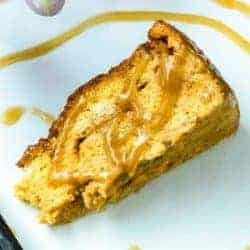 This Pressure cooker or Air Fryer Pumpkin Spice Bread Pudding recipe puts a fall-flavored twist on a dessert classic! It’s drizzled with a yummy maple cream sauce and is gluten-free. If you’re looking for a quick and healthy dinner recipe, this haddock recipe has you covered. 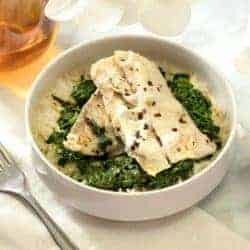 This basic recipe is full of everything you need to make a flavorful and balanced meal in just a few minutes time with your Instant Pot or pressure cooker. For such a simple dish, it sure is packed with flavor and great nutrition. 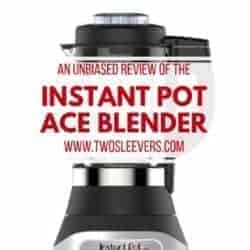 If you’ve been curious about the Instant Pot Ace Blender, you need to read my unbiased review! I’ll tell you the good, the bad, and the ugly! Pancakes. They’re a breakfast classic. But sadly they are not low carb, even in the slightest. 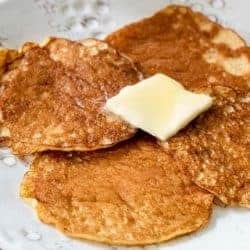 But I’ve been wanting to do a low carb pancakes recipes. These are cute little ones that are just perfect, cute, and low carb. 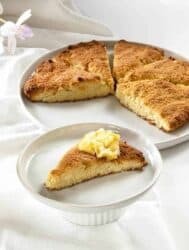 Add some butter and some sugar-free syrup and you’re good to go. 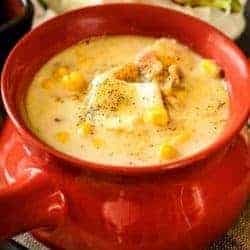 Have you ever had a good Creamed Corn Chowder? It’s perfectly sweet and salty, and pulled together beautifully with a creamy finish. It’s perfect for a chilly night, and making it in your Instant Pot makes it that much better. 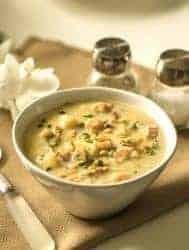 And, this isn’t just any ordinary Creamed Corn Chowder recipe, because that’s not how I do things…. 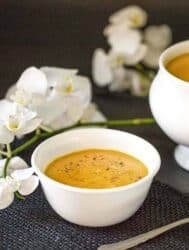 This soup pairs a classic butternut squash soup with the warm spiciness of ginger to make a soup that will warm you from the inside out. It’s rich in flavor, and the turmeric makes this good for your whole body too. Add to that the fact that it’s vegan and dairy-free? I mean really. How does it get better than that?